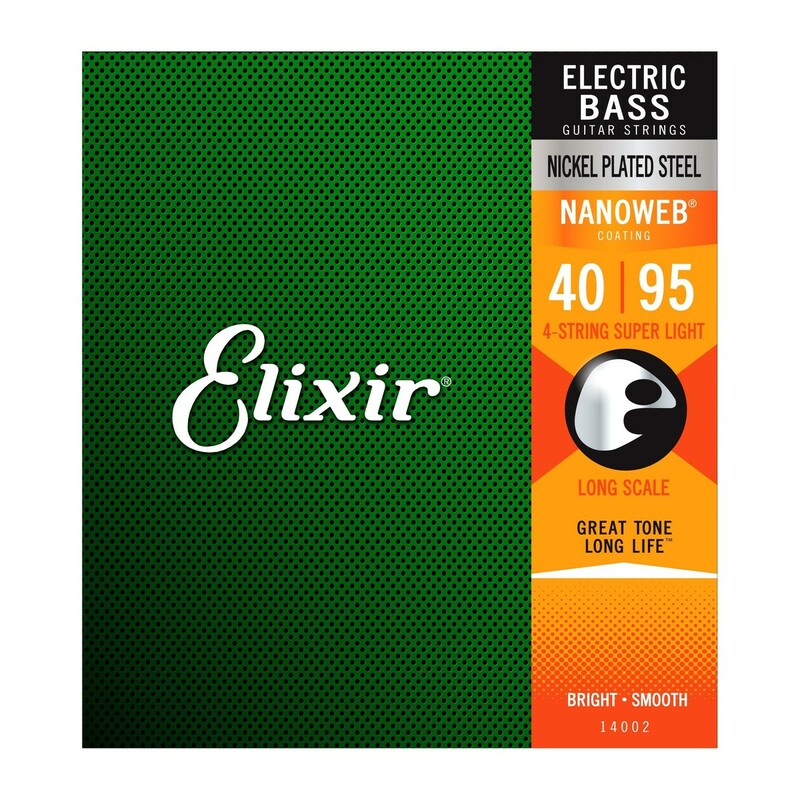 Electric Nanoweb Super Light, 40-95 gauge. 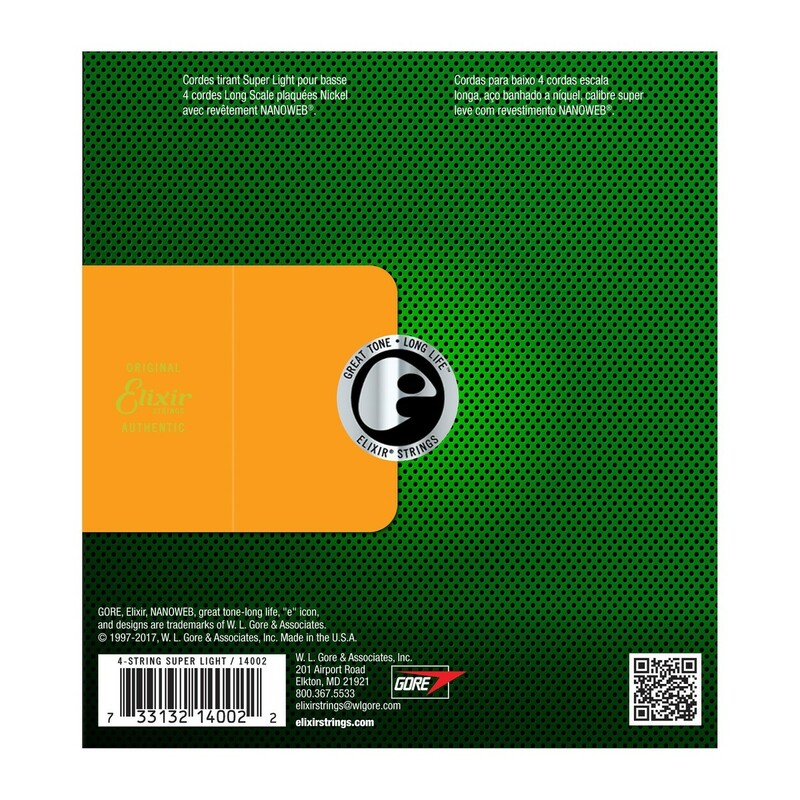 Elixir Strings bass strings deliver the full range of bass tones, from fat, round lows to punchy mids and sweet top-end detail. 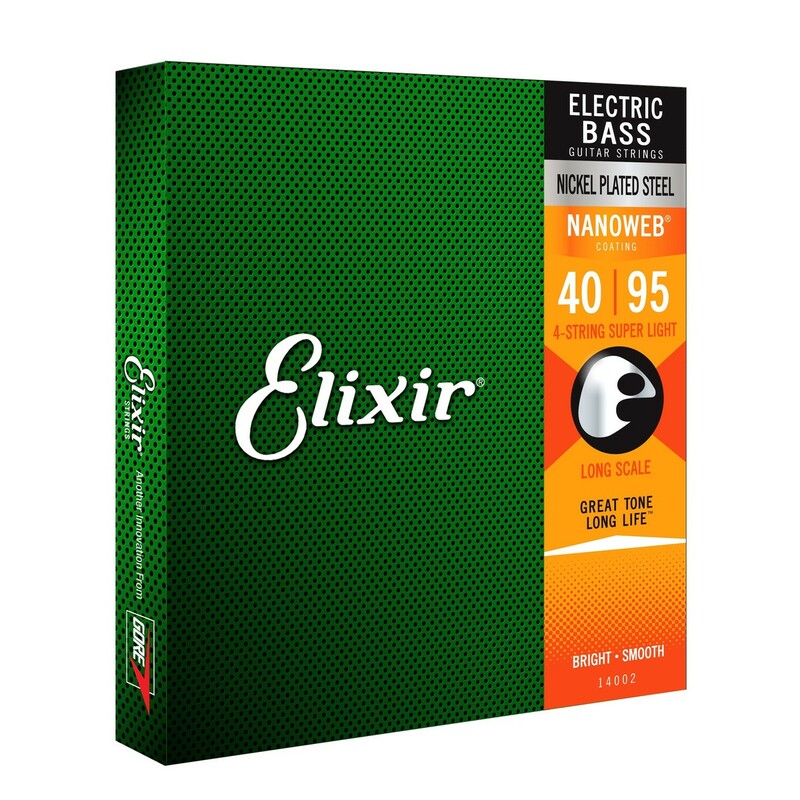 The ultra thin NANOWEB Coating maintains that great tone and feels clean and smooth.